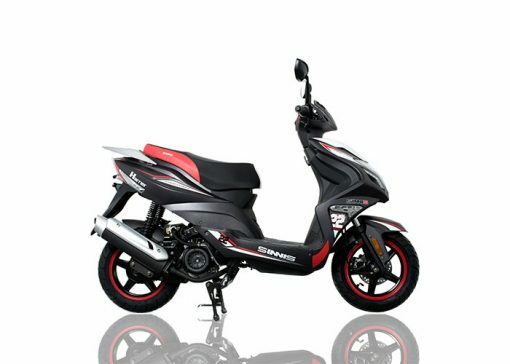 The Sinnis Harrier 125 Euro 4 scooter is designed to look and feel sporty. Quick response throttle, and punchy Electronic Fuel Injected, 4 Stroke engine and beautiful graphics package add to the appeal of the Harrier, which has been in the range for many years. 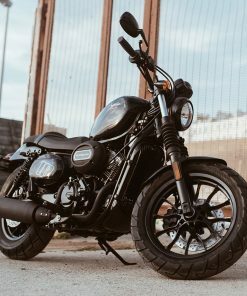 In 2017 we have added EFI, LBS braking system and better fuel economy which is the sort of spec you would expect from a much more expensive machine. Excellent tyres and suspension help to propel the Harrier to the top of the Sport 125 4 Stroke category in the UK. 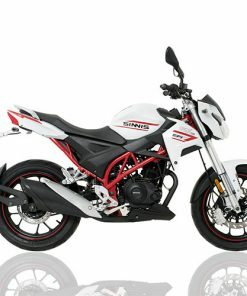 By purchasing this genuine Sinnis Harrier 125 from Biking Direct, you are purchasing via an authorised Sinnis distributor. We only sell GENUINE Sinnis Products so you can have peace of mind. Whether its developing our own armour system, sourcing new and unique materials, thread or zips, or producing innovative products such as the Sinnis Harrier 125, if there is a better way to do something the team is always striving to push forward and improve. Buy with confidence, buy with Biking Direct.